With our Developmental Disabilities License, you’ll become adept at implementing and adapting evidence-based instruction methods that will meet the needs of your students and help them succeed. If you're not already a licensed teacher, you will have to complete required prerequisite courses which meet the MN Standards of Effective Practice. Description of the masters thesis and action research project options including requirements and the oral examination process for the masters degree. Understanding of both quantitative and qualitative research designs. Identification of a literature review, literature review with application emphasis, or action research project topic and creation of a prospectus. Demonstration of academic research, writing skills, and APA formatting proficiency. Evaluative procedures used in identifying and understanding students with mild-moderate-severe Developmental Cognitive Disabilities. Collaborative analysis of assessment results and creation of IEPs in a K-12 setting. Design and implementation of appropriate interventions. Analysis of personal and spiritual growth related to the role of a special education professional. 12 weeks supervised teaching experience. FE: DD student teaching fee: $75, out-of-region fee: $100, out-of-state fee: varies. Credits listed are for the current catalog. The PELSB (Professional Educator Licensing and Standards Board) may implement new requirements that may require credit changes. 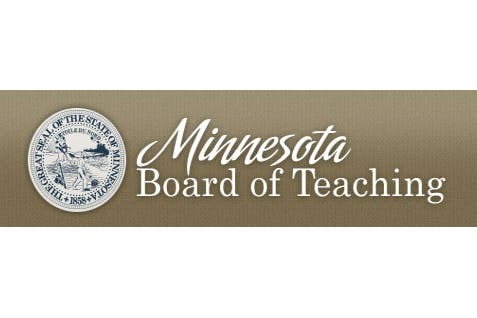 The Board of Teaching governs the teacher licensing requirements for the state of Minnesota. The graduate Special Education program at Bethel meets these requirements. Bethel’s graduate Special Education program is accredited under the Teacher Education Accreditation Council (TEAC) Quality Principles through the Council for the Accreditation of Educator Preparation (CAEP) Accreditation System for a period of 7 years, from October 2015 through December 2022. Our teacher education program will seek accreditation under the CAEP Standards in fall of 2022. Formed in 2013, CAEP is the single specialized accreditor for educator preparation, and administers TEAC accreditation. See our candidate performance data (pdf). We partner with the Anoka-Hennepin School District to offer you opportunities to work as a full-time float para in area schools while you earn your master’s in special education. This program is a chance to gain first hand experience, get full-time pay and benefits while you work towards your degree, and make connections that will help you build a successful career.